It’s a testament to a place (and a challenge to its visitors) when people use one-word clichés to describe it. Take Taipei. It attracts adjectives—“buzzing,” “bright,” “modern,” and “cosmopolitan”—the way happy hours attract barflies. 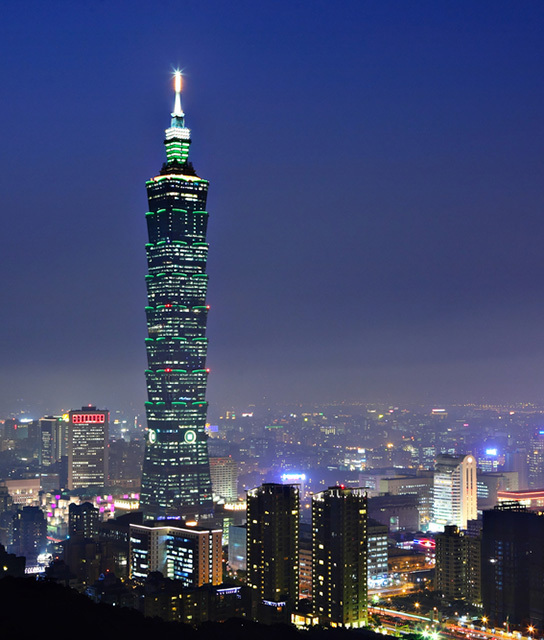 But there is truth in cliché, and Taipei (at the northern tip of Taiwan,) is a global city that possesses all the bells, bangs, crowds, and cultural excitement found in major metropolises. This city has strong Chinese, Japanese, and Western influences in its food, culture, art, and architecture. Your Taipei hotel address may be Republic of China, but your soul’s clock will be set on international time. Taipei is also very much a spiritual place. Those with a mystical bent (Taipei hotels are filled with such pilgrims) should be sure to visit Xinsheng South Road, known as the “Road to Heaven” because of its many shrines, temples, churches, and mosques. Below find a list of our selection of boutique and luxury properties in Taipei. Half guesthouse, half gallery, and entirely a vanguard of the modern urban retreat, Humble House Taipei exemplifies the “art in life, life in art” philosophy. In Taipei’s Eastern District, freshly caught seafood, expertly mixed cocktails, and sublime service set the stage for indulgence in a stunning work of postmodern architecture. Philippe Starck celebrates love at S Hotel in Taipei’s center, where a sensorial experience full of art, culture, and creativity awaits, with a dash of humor.